“The weekend was one of ups and downs” according to Del Rougeux Jr. of Rougeux Motorsports. 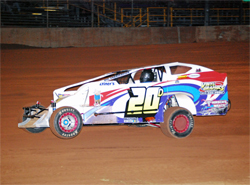 The Frenchville, Pennsylvania racer drives his Chevy powered race car in the Big Block Dirt Modified Division. According to Rougeux, “Friday night did not start out the way any driver or crew wants it to.” Rougeux was involved in a first lap wreck during his heat race at Lernerville Speedway. Considerable damage to the front suspension ended his night. Realizing that wrecks are part of racing, Rougeux Motorsports kept their noses to the grindstone and managed to rebuild the car in time for Saturday night’s Bill Emig Memorial Race at Mercer Raceway Park. “Mercer Raceway Park has not been one of the kindest tracks to me,” said Del. However, by the end of his 8-lap heat race the car was handling well and Rougeux took third. By the luck of the draw Del pulled a number one and started the main event in the pole position. Rougeux led the first 5 of 25 laps before a second place competitor made a successful pass for first. The crew made a few adjustments to the car under caution and with 9 laps remaining Del chased down the leader. “On the restart, I took the lead back,” he said. Hardwork and determination paid off for the Rougeux Motorsports team. At the end of 25 laps Rougeux won his first race at Mercer Raceway Park in Mercer, Pennsylvania. 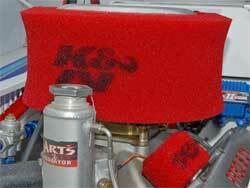 In addition to K&N Air filters, Rougeux uses K&N’s wrench-off oil filter. 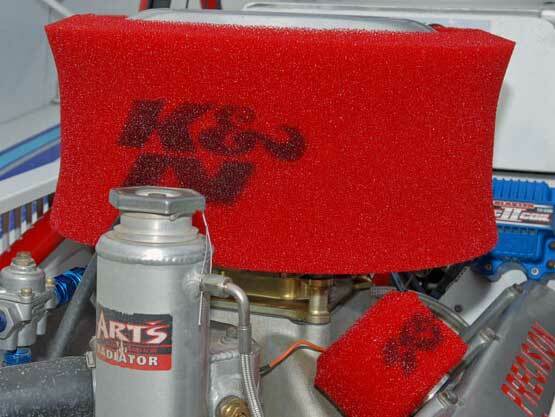 “The K&N oil filter is great, with all the movement and ruts we deal with on the track, there is never any pressure fluctuation on the gauge,” he said. Unfortunately, Sunday was another tough night for the Rougeux Motorsports team. 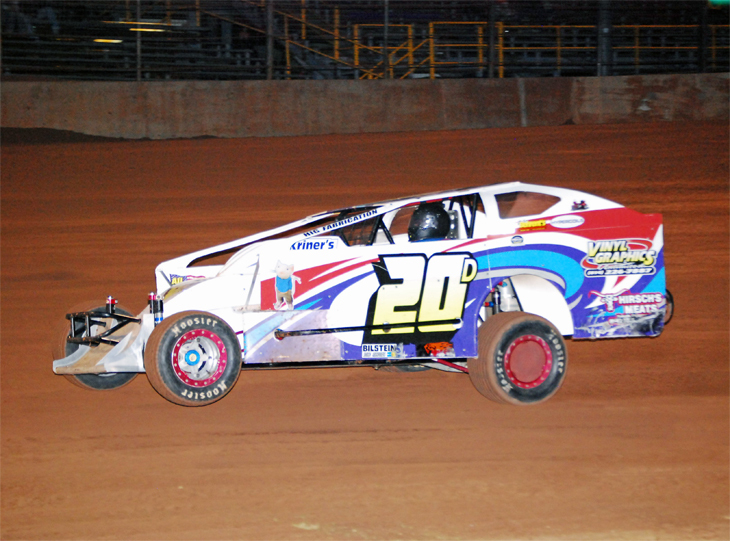 During a battle for the lead in his heat race, a broken rear axle forced him to retire from Sunday’s race. Rougeux faced some challenges over the weekend but said the victory Saturday night was one that was much needed. Another busy weekend of racing is ahead for Rougeux and his team. They’ll be traveling to central New York for two more races in Brewerton and Canandaigua before heading home to the Tri City Speedway for Sunday’s race. 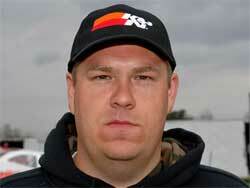 Follow the Rougeux Motorsports Team's progress throughout the racing season at the K&N news site.